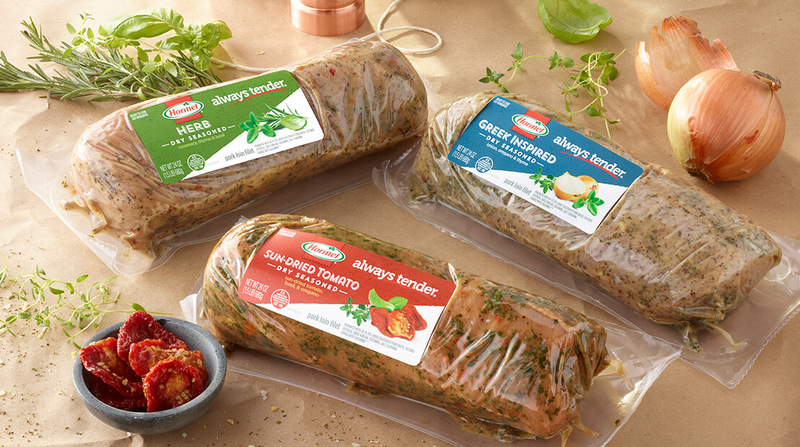 Hormel Foods announces the launch of Hormel® Always Tender® Dry Seasoned Loin Filets. Available in three distinct flavors – Greek Inspired, Herb, and Sun-Dried Tomato – the dry seasoned loin filets are an extension of the brand’s existing marinated Hormel® Always Tender® products. Hormel® Always Tender® Dry Seasoned Loin Filets are available in 1.5 pound packages and can be found in stores nationwide. For more information on Hormel® Always Tender® products, including the dry seasoned loin filets, visit www.hormel.com/Brands/AlwaysTender.aspx.